Now that we are outdoors, it is easy to see the VMS LED Sign Board. In outdoor use, there are many factors that affect the use, so we need to consider these issues when installing. 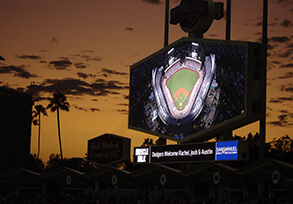 Let's take a look at what to pay attention to when installing LED displays outdoors. 1. The screen body and the joint between the screen body and the construction must be strictly waterproof and leakproof; the screen body needs an excellent drainage method, and the water can be smoothly discharged once the water accumulation occurs. 2. 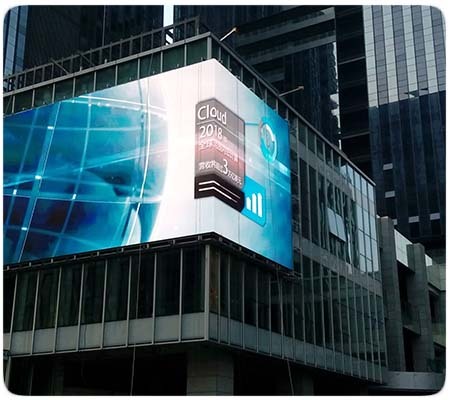 Install a lightning protection device on the P4 SMD Outdoor Led Display or perhaps the building. The main body of the display and the outer casing adhere to the excellent grounding. The resistance of the grounding is less than 3 ohms, so that the large current caused by lightning is released in time. 3. The device ventilation device is used to cool down, so that the internal temperature of the screen body is between -10 °C and 40 °C. Above the back of the screen body, an axial fan is required to discharge heat. 4. Select industrial grade integrated circuit chip with working temperature between -40 °C and 80 °C to avoid the display being unable to start when the temperature is too low in winter. 5, with anti-sunlight direct, dust, waterproof, high temperature, anti-circuit short circuit "five defense" features.